Linda Lawton has successfully led the dynamic LL Realty team to top ranks of real estate business in Northern Nevada. Assisting people in the buying and selling of homes individually since 1989, formed L L Realty Inc. in Fallon in 1992 and LL Realty Inc. – Fernley in 1999, Linda believes in the fundamental basics of business such as excellence in customer service, and offering a professional environment in which people can complete their business transactions comfortably, and with confidence. Our friendly agents have over 150 years of combined real estate experienced, and along with our support staff, we are eager to assist you. 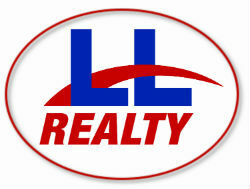 The LL Realty team makes it easy to find the right agent for you. When it comes to selling your property, LL Realty believes in aggressive advertising in order to remain in the forefront of the public eye, resulting in swift and effortless sales. It is Linda, and her team's desire to make every real estate transaction stress free. Let us do the work for you. We will meet your document deadlines and our specialized support team will make all necessary appointments, schedule inspections, and do whatever is necessary to smoothly complete the process of buying or selling your home.